Great food is a big part of the experience at The Westin Los Cabos Resort Villas & Spa, and we’ve designed our dining experiences to rival the best restaurants in Cabo. At each of our six distinctive restaurants, our talented culinary team showcases its creativity with inspiring specialties. Gather in the dining room or dine on al fresco terraces overlooking the Pacific Ocean, with fresh, satisfying cuisine for any taste and occasion. La Cantina Sports Bar serves up frozen margaritas and delicious sports bar-inspired fare. 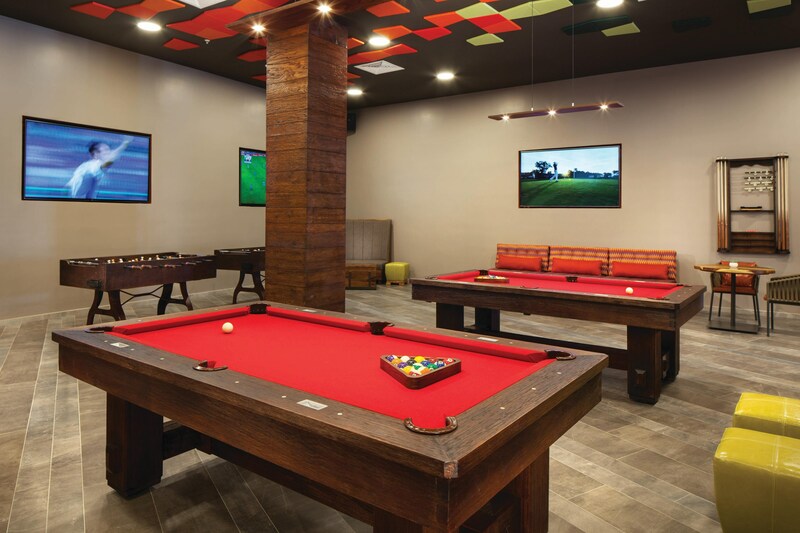 Gather together and cheer for your favorite team at this fun and festive spot with something for everyone and set the stage for an awesome night. 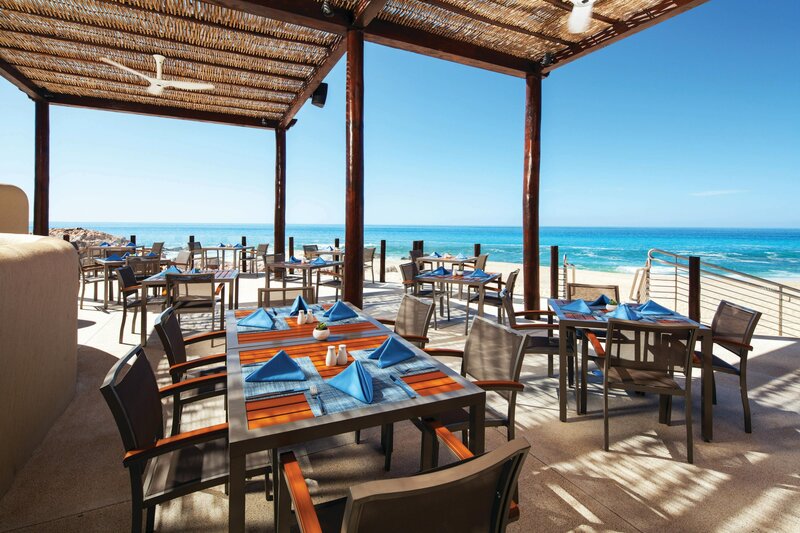 Take in spectacular views of the Sea of Cortez as you are treated to the latest trends of fine dining. In particular, enjoy our organic Latin cuisine with Mexican flavors. Cocina Casera offers an elaborate breakfast buffet as well as nightly themed buffets featuring a variety of international cuisines. The extensive wine list features vintages from around the world, pairing perfectly with regionally inspired dishes. Located beachfront with a spectacular view of the Sea of Cortéz, Coralline offers a selection of light fare like shrimp and octopus cocktail Acapulco style, as well as delectable hamburgers and more. Stock up on food and beverage staples — including fresh produce and meat, wine and various deli items — at Mercadito, and partake in the delicious Mexican barbecue tradition known as "fuego." Serving dishes with the freshest ingredients that are hand-picked from their very own garden, Carbon Carbon combines the rawness of a rustic kitchen with sophisticated flavors. Serving dishes with the most authentic Italian ingredients, Pan Di Bacco Merkado aims to surprise and spoil their guests with the most inspiring Neapolitan dishes. 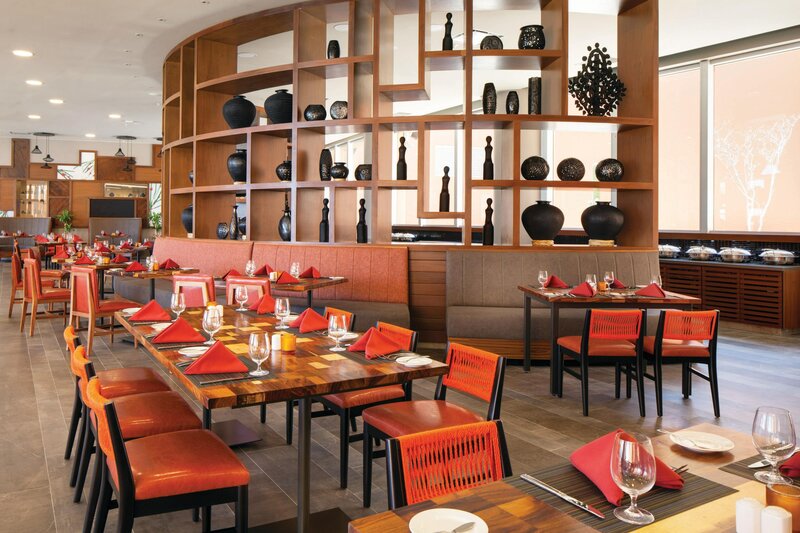 You’re invited to taste some of the freshest foods and artisan products at El Merkado. It’s an innovative concept for buying and distributing food.